The charm of Montreux’s setting – at the most popular resort on Lake Geneva – depends on its variety of geography and vegetation, ranging from the gardens on the lakeside, through the Alpine meadows and forests around Caux and Les Avants, to the lofty peaks of the Rochers de Naye. 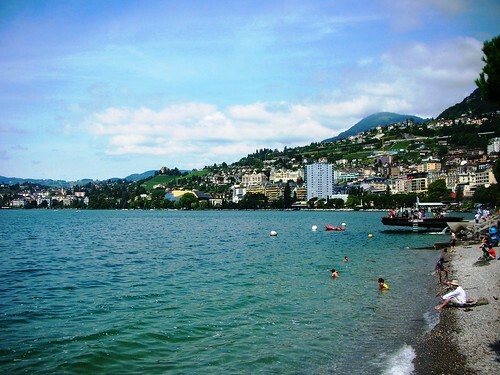 With a magnificent view and an unusually mild climate, the city extends for some 6km along the shores of the lake, incorporating a number of smaller places which were formerly independent communes. For a Norwegian – who loves nature and mountainous landscapes – it was overwhelmingly beautiful travelling through the Alps. My wife DianeCA and I, went by car with TorAa and his wife Anna from the adventurous blog gathering at Claudie and Pierre in Ollioules, South France (see links to my posts from the gathering at the end of this post!). 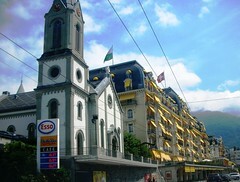 Beautiful architecture and a lot of great fun in Montreux. Lots of boating and swimming right by the shore of this beautiful city. What, no food? Just kidding. What a beautiful place indeed. 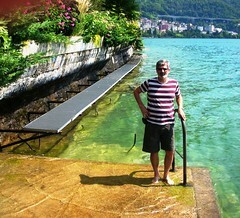 Hubby wants to retrace his army years in Germany where he visited many different countries. I get to go too he says. The place looks very nice and I can see the water is quite clear too. What a lovely place to visit and explore. Oh, it looks gorgeous alright! Beautiful photos! Man, there is soooo many places to explore… phew! 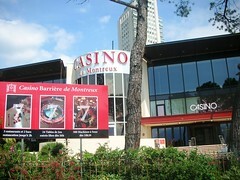 I went there with my parents when I was a little girl and I keep wonderful memories about our trip! I see you had such a nice time driving back home! Here temperature of water is about 27°C and this morning I visited the fishes in Bandol! i hope still nice moment like that before the schoolyear begins in a few days! So beautiful. I think I could sit by the shore for hours and just stare out across the water. Thanks for the trip down memory lane…. Looks like you had fantastic weather when you went there…. The first picture is truly amazing. Wow, the colors and the view! I must admit I don’t know this part at all, and I can see I missed something. Ok – no fair, I’m like 10th to post already! What incredible photos! Should I say it again, I just love the photos and oh you did it, you did take a photo of the house I USED to live in! Yes! 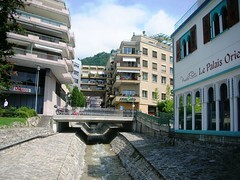 It is located in that incredible second photo, up 2 levels in a straight line of houses from the yellow awning. I think it is the peachy colored house. Thanks again for featuring my city. What a lovely place! I love the water! switzerland right? What a beautiful beach , I believe this is the best place from your articles, maybe you can provide some other information on switzerland ..
I’m so happy we had time to visit Montreux, thanks to our common effort driving back North from the unforgetable blogger meeting “chez” Claudie and Pierre. 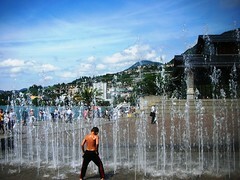 It was a beautiful time strolling Lakeside in beautiful Montreux. — And as you said, we talked about Jen. Wish she could have stayed with us. Funny to think about: You are posting about the return from the blogger reuninion, while I’m only half way down, in the home of George Sand. She was far ahead regarding womans liberation. Renny….this place is beautiful. I think I could stare at the pictures all day! I think this was my fav postof yours. 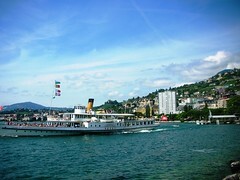 I enjoyed visiting Montreux with you. 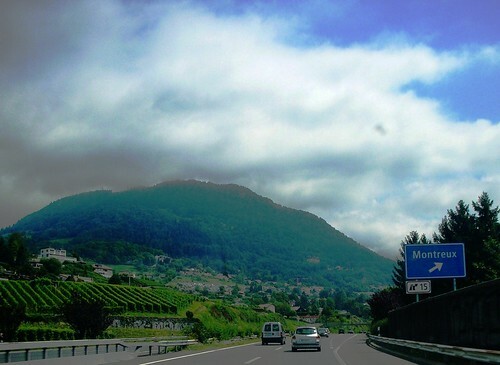 Years ago a friend gave me a tee-shirt saying “jazz in Montreux” and I also have a CD of a jazz band playing there. So now I can listen to the music and picture the town in my mind. Thank you for that. Hello Renny! Congratulations on receiving an obviously well-deserved award. Jackie made a great choice, and I’m thrilled to see it being passed on, particularly to great bloggers. You have a really nice blog here. I loved reading about, and living vicariously through your trips. Your photographs are stunning, and you seem like a very pleasant person. It’s nice to meet you, too. Oh, and you wrote a nice awards presentation. Thank you for the shout out to my blog. I looked and looked, but I couldn’t find a place to leave a comment. So I decided to leave one here, and I’m glad I did because I enjoyed taking in all the sights. I see that there are many places left to visit! I’m glad you have done some of it for me. I would undoubtedly have visited that old steamer a bit closer. Wow, what a wonderful place! Looks like it has everything – sunshine, gorgeous landscapes, lovely architecture and nice people! Thanks so much for sharing, Renny! I honestly love this website. Your posts help to remind me.. Keep up the great work and please visit by my health blog sometime. I would appreciate it! Of course you can swim – I was very tempted to do it myself, but we did not had the time. First for all thanks for leaving your foot prints on my blog… I Specially thanks for the kind comment… I was here for a return favor But… the above mentioned post is really Fantastic looking like heaven Specially picture . Great… no favor you deserve to be the best Take care keep it up i will visit you very soon again to increase my knowledge . Regards With love from Pakistan. I immediately thought of Expat Jen. So glad you could see it with your own eyes! Is there room in your vehicule for a girl and her Great Dane? I have to take him Home. I’m doing a bit of research on Geneva and I have come across an extremely weird and perverse festive that I can’t believe is allowed to exist called the Lake parade which happens each year. I use to live and was born in the Servette district (rue Chouet), 10 min from the lake and work a la Rue du Mont-Blanc 3, which is basically ⅓ of a block from the lake.Unfortunately I live in Los Angeles now.